At Design Miami/Basel, Calvin Klein and its chief creative officer Raf Simons collaborated with Cassina to showcase a limited edition of Feltri chairs—originally designed in 1987 by Gaetano Pesce—upholstered in an American quilting motif, set around a barn papered with images of AndyWarhol’s Electric Chair. Armchairs numbered 1–50 will be available for purchase at the fair, while the remaining 51–100 will be made available for purchase through Cassina at a later date. DESIGN MIAMI/BASEL, through June 17. Hall 1 Süd, Messe Basel. This entry was posted in DESIGN, FASHION and tagged Andy Warhol, Calvin Klein, Design Miami/Basel, Gaetano Pesce, RAF SIMONS on June 15th, 2018 by Barlo Perry. On the occasion of the publication of WOMEN DESIGN, author and former Design Museum curator Libby Sellers will talk with Betil Dagdelen, Marianne Goebl, and Nina Yashar about the fields of study and landmark work brought to life in her new book. LIBBY SELLERS—DESIGN MIAMI/BASEL, Hall 1 Süd, Messe Basel. This entry was posted in ARCHITECTURE, BOOKS/PERIODICALS, CONVERSATION, DESIGN, EDUCATION/ACTIVISM, FASHION and tagged Betil Dagdelen, Design Miami/Basel, Frances Lincoln, Libby Sellers, Marianne Goebl, Nina Yashar on June 11th, 2018 by Barlo Perry. 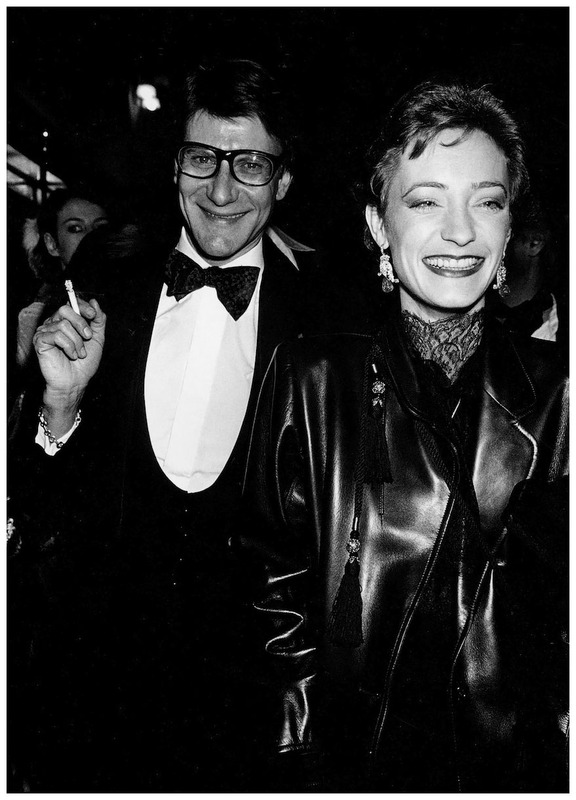 Christopher Petkanis’ LOULOU & YVES: THE UNTOLD STORY OF LOULOU DE LA FALAISE AND THE HOUSE OF SAINT LAURENT is a massive oral history centered around the life and times of YSL muse and employee Loulou de la Falaise. Among the voices heard from in the book are those of Cecil Beaton, Diana Vreeland, Thadée Klossowski, Robert Mapplethorpe, Helmut Newton, Hubert de Givenchy, Manolo Blahnik, Maxime de la Falaise, Diane von Furstenberg, Marianne Faithfull, Nicky Haslam, Elsa Peretti, Betty Catroux, John Richardson, Kenneth Jay Lane, Alber Elbaz, Christian Louboutin, Grace Coddington, Ben Brantley, Jane Ormsby Gore, Bruce Chatwin, Amy Fine Collins, Patrick Bauchau, Lady Annabel Goldsmith, Pierre Bergé, Talley, and Loulou herself. 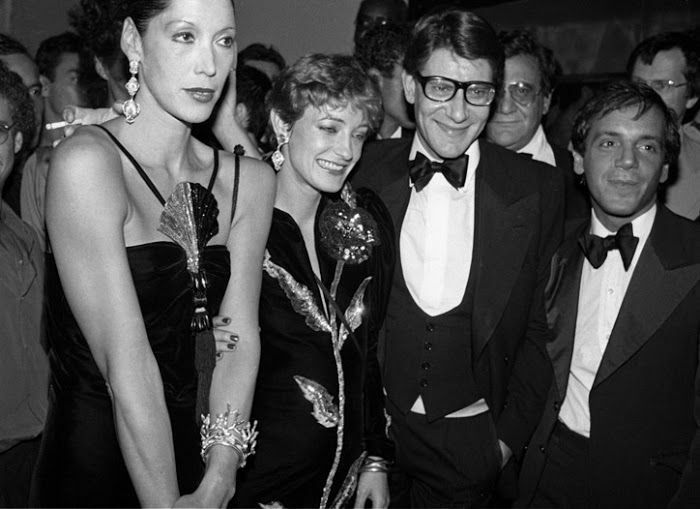 Top: Marina Schiano, Loulou de la Falaise, Yves Saint Laurent, and Steve Rubell at the Opium launch party, New York City, 1978. Above: Thadée Klossowski, Paloma Picasso, and YSL. 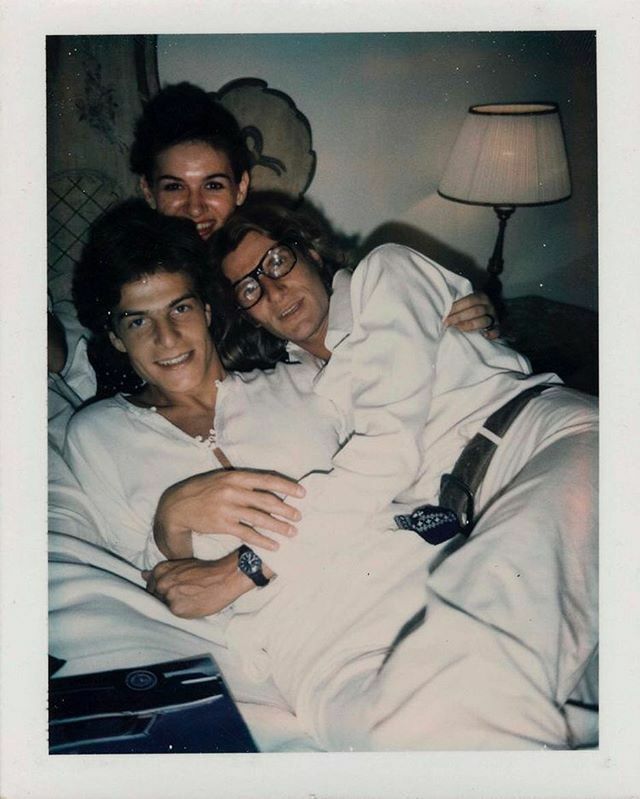 Polaroid by Andy Warhol. Below: YSL and de la Falaise. This entry was posted in BOOKS/PERIODICALS, FASHION and tagged Alber Elbaz, Amy Fine Collins, André Leon Talley, Ben Brantley, Betty Catroux, Bruce Chatwin, Cecil Beaton, Christian Louboutin, Diana Vreeland, Diane von Furstenberg, Elsa Peretti, Grace Coddington, Helmut Newton, Hubert de Givenchy, Jane Ormsby Gore, John Richardson, Kenneth Jay Lane, Lady Annabel Goldsmith, Loulou de la Falaise, Manolo Blahnik, Maxime de la Falaise, Nicky Haslam, Patrick Bauchau, Pierre Bergé, Robert Mapplethorpe, Thadée Klossowski, Yves Saint Laurent on May 25th, 2018 by Barlo Perry. This weekend, join Pierre Davis and No Sesso for a show of her new collection GEMS OF HOOVER STREET SAINT DUNN, one of the final scheduled events at 356 Mission before it closes later this month. NO SESSO – GEMS OF HOOVER STREET SAINT DUNN, Saturday, May 12. Doors at 7 pm. 356 MISSION, 356 Mission Road, downtown Los Angeles. This entry was posted in FASHION, PERFORMANCE and tagged 356 Mission, Gems of Hoover Street Saint Dunn - No Sesso, No Sesso, Pierre Davis on May 11th, 2018 by Barlo Perry.